This drug can cause serious fetal harm (possibly death) if used during the last six months of pregnancy. If you become pregnant or think you may be pregnant, contact your doctor immediately. Before using this medication, tell your doctor or pharmacist your medical history, especially of: kidney disease, liver disease, high blood levels of potassium, heart problems, severe dehydration (and loss of electrolytes such as sodium), diabetes (poorly controlled), any allergies (especially to ACE inhibitors such as captopril, lisinopril). This drug may make you dizzy; use caution engaging in activities requiring alertness such as driving or using machinery. Limit alcoholic beverages. To minimize dizziness and lightheadedness, get up slowly when rising from a seated or lying position. Before having surgery, tell your doctor or dentist that you are taking this medication. 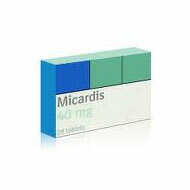 Caution is advised when using this drug in the elderly because they may be more sensitive to the effects of the drug, especially the dizziness effect. This medication should be used only when clearly needed during the first three months of pregnancy. It is not recommended for use during the last six months of the pregnancy due to the risk for fetal harm. Discuss the risks and benefits with your doctor. See also the Warning section. It is not known if this drug passes into breast milk. Breast-feeding is not recommended due to the potential harm to the nursing infant. Consult your doctor before breast-feeding.